Welcome to the ATPESC 2019 Argonne National Laboratory Tour! Since its charter in 1946 to conduct nuclear technology research, Argonne National Laboratory (Argonne) has emerged as a global leader in science and technology. Throughout the laboratory, researchers are involved in a spectrum of projects in fundamental and applied science, from simulating the evolution of our universe to investigating the dynamics of the smallest matter. 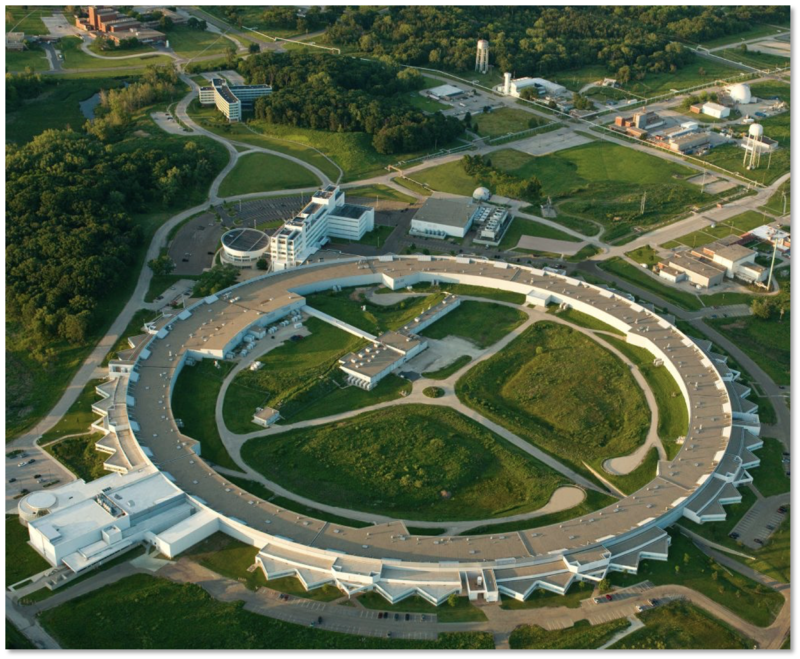 Recognized as the nation’s first national laboratory, Argonne conducts cutting-edge research in virtually every scientific discipline, working closely with scientists and engineers from hundreds of companies, universities, and government agencies to solve challenging problems and advance America’s role as a scientific leader. 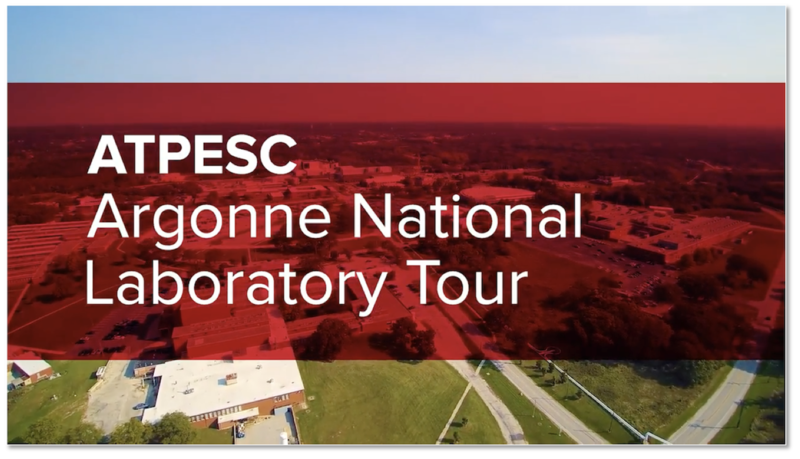 View the ATPESC Argonne Tour video! 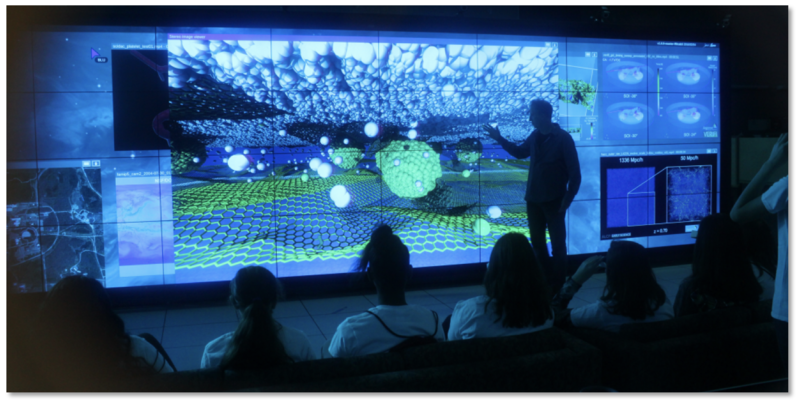 ATPESC 2019 Argonne Tour participants will gain a better understanding of that breadth of exploration by visiting three of the lab’s U.S. Department of Energy (DOE) User Facilities that encompass supercomputing, X-ray studies, and nuclear structure research. These facilities not only enable the work conducted by our own scientists, but attract researchers from across the globe. In addition, a stop at the Nuclear Energy Exhibition Hall will provide a better understanding of Argonne’s role in the development of technologies for modern nuclear energy systems. Our tour guides are passionate Argonne researchers who are very knowledgeable about the history of the laboratory, as well as the science that happens within the facilities that you’ll visit. ALCF’s talented and diverse staff help make this facility one of the world’s premier centers for computational science and engineering. The unassuming concrete structure that is Building 240 hosts the Argonne Leadership Computing Facility (ALCF), one of two DOE Leadership Computing Facilities in the nation dedicated to open science. Soon to be home to the first exascale system — a computer capable of performing a quintillion (1018) calculations per second — the ALCF currently operates two of the world’s fastest supercomputers, Mira (Top #17) and Theta (Top #21). 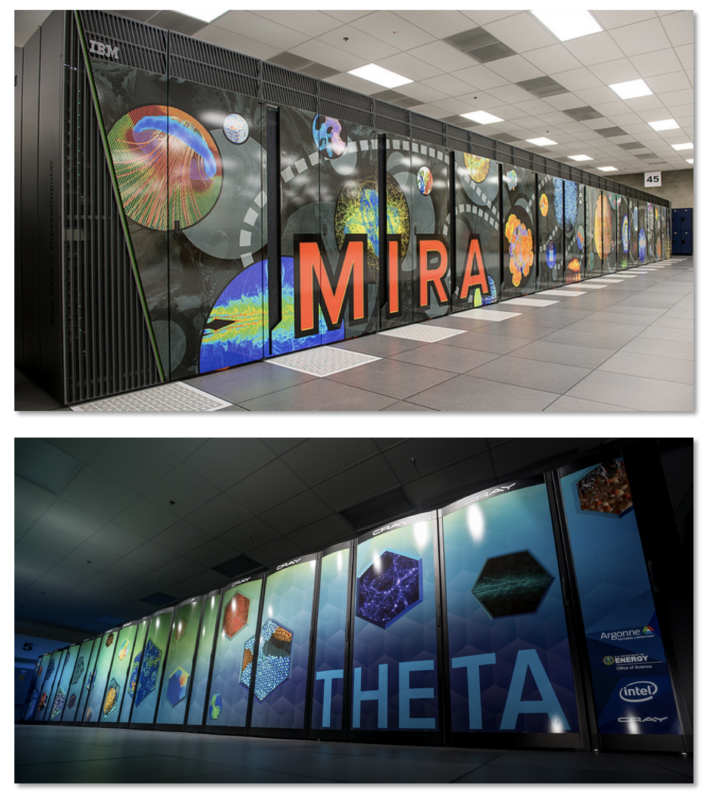 Together, these machines are leading a revolution in high-performance computing by allowing researchers to merge simulation, large data, and machine learning techniques to answer some of the great questions of fundamental science and tackle challenges in a wide range of applied sciences. ALCF computing resources are 10 to 100 times more powerful than systems typically used for scientific research and are available to researchers from universities, industry, and government agencies. ALCF’s talented and diverse staff help make this facility one of the world’s premier centers for computational science and engineering. On the tour, you’ll also visit the ALCF’s Visualization Laboratory, where images produced by the latest simulations — from blood flow in the brain to the evolution of the universe — appear on a 66 million-pixel, 27-foot-long display wall. The Advanced Photon Source (APS) is one of the most technologically complex machines in the world. This premier national research facility provides ultra-bright, high-energy X-ray beams that enable the collection of data in unprecedented detail and in amazingly short time frames. Electrons are accelerated to over 99 percent of the speed of light around its ring, which is the size of a baseball stadium. More than 5,700 scientists come to the APS each year from academia, industry, medical schools, and other research institutions to conduct experiments that promise new discoveries in nearly every scientific discipline. The knowledge these researchers gain at the APS has a real and positive impact on our technologies, our health, our economy, and our fundamental understanding of the materials that make up our world. The APS Upgrade Project, currently under development, will create the world’s ultimate three-dimensional microscope, enabling researchers to view and manipulate matter at the nanoscale in order to solve even more complex science problems. 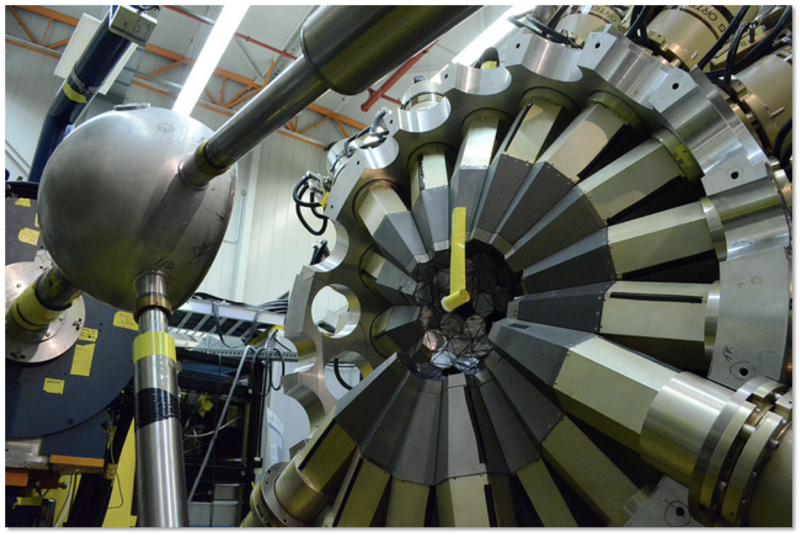 The Argonne Tandem Linac Accelerator System (ATLAS) is the world’s first accelerator to use superconducting resonators for projectiles heavier than the electron. It accelerates positively charged atomic nuclei and delivers the beam to one of the system’s various detector end stations, such as Helios, a helical orbit spectrometer, and the gamma-ray detector Gammasphere. ATLAS is capable of accelerating ions of all elements, both stable and radioactive, in order to study the properties of atomic nuclei, the core of matter, and the fuel of stars. 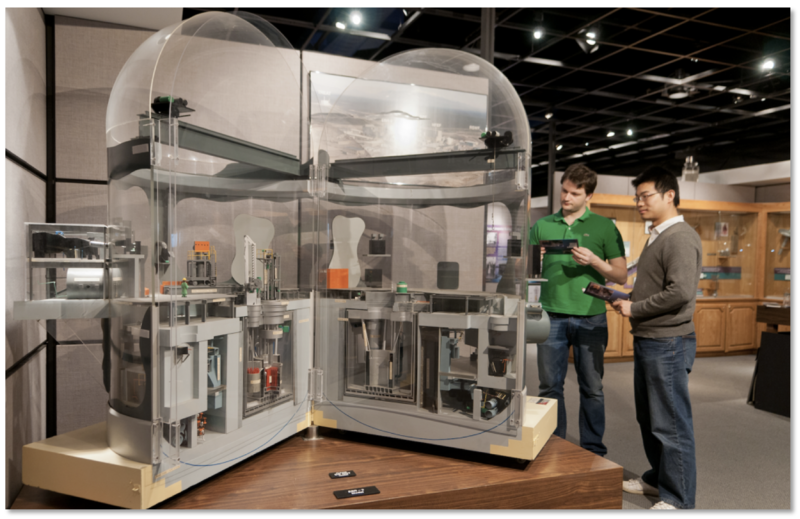 At the Nuclear Energy Exhibition Hall, you’ll learn about the development of the first self-sustaining nuclear chain reaction that occurred in Chicago, on December 2, 1942, and the role it played in Argonne’s founding. Detailed models, displays, and hands-on exhibits describe how Argonne pioneered the peaceful uses of nuclear technology, developing virtually every major reactor type used in the world today, to produce electricity. The exhibits also show how advanced scientific and engineering technologies are helping Argonne continue its quest to develop safe, sustainable nuclear energy systems.